Celebrate Christmas 2018 with the Mid Wales Chamber of Commerce and Mid Wales Manufacturing Group! We will be at the Elephant & Castle for an afternoon of festive fun and networking. 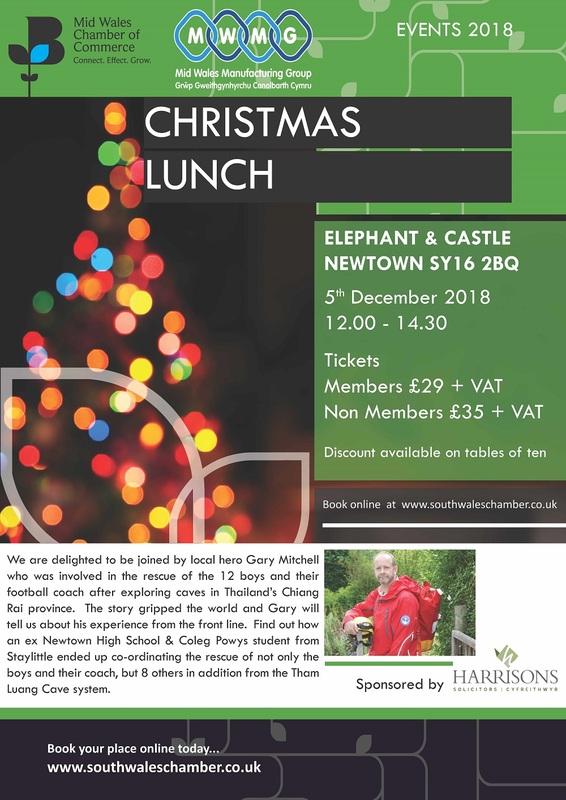 Our Guest speaker is Gary Mitchell, he will tell us about his experience on the front line of the Tham Luang Cave System in Thailand. Find out how an ex Newtown High School & Coleg Powys student from Staylittle ended up co-ordinating the rescue of not only the boys and their coach, but 8 others in addition.